5 Last Minute Gifts Music Fans Will Love | It's not your tech, it's how you use it. So here we are, on Christmas Eve Eve, the next to last shopping day of the holiday season, and tomorrow lots of stores will be shuttering early to give their employees an opportunity to spend time with family and loved ones. And there you are, still missing a gift or two for someone important on your list, thinking that there’s no point in shopping online at this point since shipping will never make it in time. Let the Classy Geek help you out. First of all, everyone loves music – even the people I’ve known who claim to not be “music people” like some kind of music in the right circumstances, and far more people would dare to call themselves enthusiasts and can rattle off their favorite bands, genres, and eras to you if you get them started. So what do you get a music fan for the holidays, at the very last minute, that doesn’t require a trip to the store? Sure, you could buy them an iTunes gift card – there’s nothing wrong with an iTunes gift card, heck – we even had them in our 2009 Holiday Gift Guide, but there’s a reason we omitted it from the 2010 Holiday Gift Guide: it’s because even though iTunes still dominates digital music sales, you can do so much better or the music lover on your holiday shopping list. For example, why not give the gift of unlimited music – as in, all your recipient can possibly stream at home, at work, and on their mobile device? Yeah, that got your attention. Hit the jump to see five great gifts that music fans will absolutely adore all year long, and definitely won’t return or forget to make use of. Pandora is clearly the leading music discovery service on the Web, that much is clear. Its “set it and forget it” approach to finding, playing, and helping you discover music that you’ll actually like is well established. So established, in fact, that everything from televisions to desktop iPhone docks and speaker systems allow you the ability to log in to your Pandora account and stream music from your stations through any device. If your gift recipient hasn’t been turned on to Pandora, or if they already love Pandora but just haven’t taken the step to becoming a Pandora One member, a one-year subscription to Pandora One, the premium and paid offering that stands above their basic free service, will only set you back $36 USD – and that’s for a whole year. 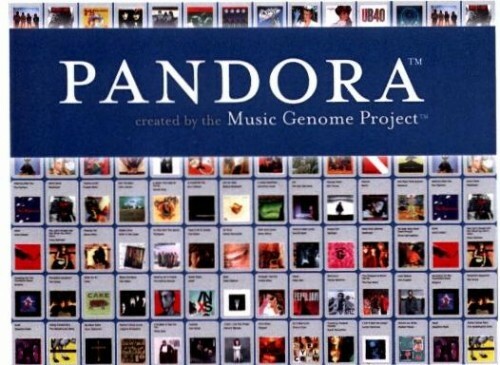 Best of all, the gift of a Pandora One membership is applicable to an existing account, so they can take their membership with them on their iPhone, Android phone, or other mobile device, listen on any Internet-connected computer, or even any Internet-connected device that supports it. The best thing about Pandora in general is that once you start using it, you just won’t be able to stop, and a Pandora One subscription is a great way to turn a free service that everyone already loves into a gift that will keep giving all year long. Grooveshark is right up there with Pandora for me. 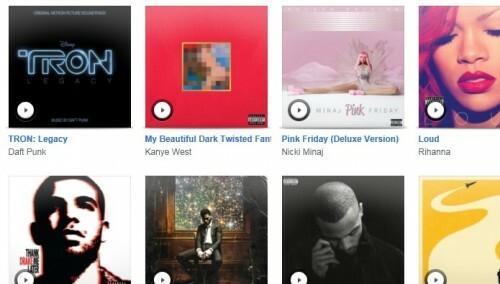 I’m something of the Grooveshark aficionado on the tech blogs I write for, and I’ve covered it several different times. Why? I love the service. Where Pandora has a “set it and forget it” approach to music playback and is designed for people who love music, love finding new tunes, and love having music on in the background, Grooveshark is designed to be your ultimate music on-demand service. You can search for virtually any band, song or remix in the big search bar in the middle of the page and not just find the song you’re looking for, but find several different versions of varying quality. The reason Grooveshark is so good at this is because once you’re a member, you can upload your entire music collection to the service and allow the service to share those songs with the rest of the Grooveshark community. Now before you worry about copyright infringement, the service is streaming only – and you can’t download songs through Grooveshark that don’t belong to you already. Once you have your music in the cloud however, you can enjoy them from any Internet FOakleys connected computer. Grooveshark does have a “Radio” feature that lets you sit back and let the service handle finding something to play next, but I find it’s much better for building a collection of tunes you know you’ll want to hear later, embedding songs on Web sites and blogs, sharing a song in your head with friends, and making playlists of music you know you’ll want to return to. Where things get interesting is with the Grooveshark Plus and Grooveshark Anywhere plans. Premium members get all of the features I mentioned, but Grooveshark Plus members get the benefit of never hearing an ad or seeing one on the Grooveshark Web site, priority support, and a desktop app that allows you to listen to Grooveshark without having to have your browser open. Grooveshark Anywhere members get all of those features as well as access to the Grooveshark mobile apps for iPhone and Android, meaning they can take their playlists and streaming music with them on the go – with one important bonus feature that Pandora mobile users don’t get: offline play. You can pick some of your songs from your Grooveshark library to save locally to your mobile phone, so when you go underground to get on the subway or board a plane, the music doesn’t have to stop. Grooveshark is designed to be your ultimate cloud music service, giving you access to not just your own tunes anywhere you go, but a massive database of music submitted by other users just like you – hear something you like? Search for it and add it to your library instantly. How’s that for a holiday gift? Grooveshark Plus memberships are $6/month or $60/year, and Grooveshark Anywhere memberships are $9/month or $90/year – much better than a gift card. Rdio is new to the block, only having launched earlier this year. I got a chance to play with the service when it was in beta, and it’s everything you could possibly want in a music service that’s also a social experience. The service invites you to share music with friends and swap suggestions for artists and albums that are worth listening to. Rdio partners with multiple major labels to bring new releases and whole albums to the service and makes it easy to browse by artist or album and listen to the whole thing at once, or just pick the songs you’re interested in hearing. Admittedly, Rdio is focused more on artists and albums and new releases than on-demand music discovery, but the service does have some music discovery features that help you find new albums based on the ones you already like. Unlike the other services, Rdio has no free component, and while you can sign up for a “trial,” you only get a week free. Aside from that though, the service is $4.99/month, completely ad free, and gives you access to the service on the Web, a desktop player that works when your browser is closed, and mobile apps for iOS, Android, Blackberry, and even Windows Phone 7. If you have a music fan on your list that adores specific artists and wishes they had access to that artist’s discography, adores albums as musical stories, or wants access to some of the latest releases from their favorite artists and maybe a little social networking with their listening, a subscription to Rdio is definitely worth the $5 bucks per month you’ll drop on your giftee. 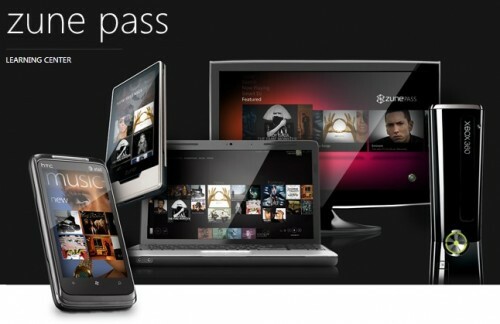 You don’t have to have a Zune to get a Zune Pass subscription – in fact, if you enjoy subscription, all-you-can-stream music services or want to give the gift of unlimited tunes to someone on your gift list this holiday season, a Zune Pass is one of the best ways to go if you want to give great music in combination with a great music store. Not only do Zune Pass subscribers have the ability to download and stream as much music as cheap oakleys they want on their supported device (desktop/laptop, XBox 360, Zune music player, or Windows Phone 7 device) they also have the ability to periodically download ten songs per month in straight mp3 format (high quality, of course) free and clear to burn to CD, play as often as they like offline, and move to other devices. Essentially, by giving someone a Zune Pass subscription, you not only give them the gift of unlimited streaming music to any of those supported devices – even the ability to play music on their TV through an XBox 360 – you also give them the gift of 10 free songs of their choice every month. All that for $14.99/month, and you get one of the best and most attractive jukebox applications available. The Zune desktop media player is incredible to use, and their music discovery and playlist auto-generation features are unparalleled, even by the mighty iTunes. Admittedly, it helps if your giftee has a Zune or a Windows Phone 7 device to take their music on the go, but there’s something to be said to being able to fire up your XBox 360 and play music there – only Pandora gives you those kinds of features. 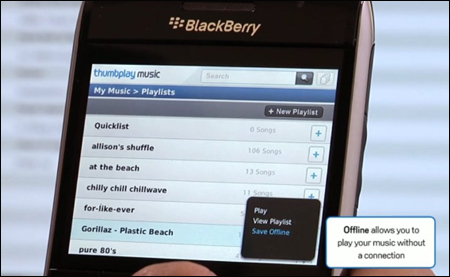 Thumbplay Music has been around for a long time – in fact, in my other life I wrote about it back in the summer – but the service has a lot of features that a number of the other services are only now beginning to roll in (like offline play on mobile phones.) Thumbplay brings you the music selection of a service like Grooveshark combined with discovery features from Pandora and Rdio with mobile features that no other service currently offers. The beauty of Thumbplay is that it duplicates the old relationship between a media player and a desktop app with your mobile phone and your desktop or laptop. The app has extremely tight integration between the desktop app and the mobile apps, to the point where your playlists and music libraries are synchronized between devices wirelessly and instantly. 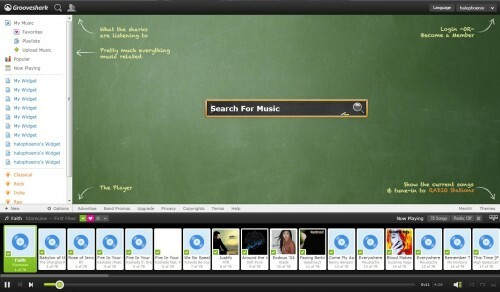 You also get access to the service’s massive cloud-based catalog of music, and you get the ability to save some of your music for offline play. Your locally saved music gets uploaded to the cloud, your iTunes playlists are automatically imported, and you get access to all of that on your phone. The best thing about Thumbplay though is that tight integration between your desktop and your mobile device, both on and offline. The service is available for virtually every mobile platform, and you can give the gift of wireless playlist and library syncing as well as music search and discovery for $9.99 per month. There you have it – five last minute holiday gifts you can give to a music lover on your gift list that they’re all but certain to adore. Admittedly all of them are subscriptions to music services, but you get more than just a music collection or the ability to listen to music for your money with each of them – they all have features that make those subscription fees worthwhile, like the ability to take your playlists and songs with you on your mobile phone, the ability to manage your account from multiple devices, desktop players you can use in the background while you work, the ability to use other gadgets in your home, or even the ability to instantly find and play any song that might possibly come to mind. Some of the services are pricier than others, but all in all, they’re all the kinds of gifts that any music fan on your shopping list this holiday season will appreciate more than an iTunes gift card. After all, isn’t it better to give the gift of unlimited music on any device you choose than a few mp3s downloaded from one music store on one computer? Regardless of what you choose, here’s wishing you and yours a happy, classy holiday! Thanks Henrik! I didn't really mean to put it together in a hierarchical order, but I do think the gift of Pandora One is probably a little more useful than GrooveShark's premium services, mostly because Pandora is so widespread and easy to use. Thanks again, and I'll check out Snoost.